“Ouch! My back hurts!” If you’ve ever groaned about your back, you’re not alone. Back pain affects 8 out of 10 people at some point in our lives. It’s one of the most common reasons for a visit to a health care provider. If you have back pain, your primary care provider is likely to first ask you about your symptoms and do a thorough physical exam. Then, magnetic resonance imaging (MRI) or a computed tomography (CT) scan may be recommended to pinpoint the problem. These technologies create detailed images of the spine, tendons, nerves and ligaments so physicians and advanced practice clinicians can better understand the correlation between symptoms you’re experiencing and findings on your MRI or CT scan. “MRI or CT scans are integral to our pre-operative work,” says Allister R. Williams, MD, a fellowship-trained spine surgeon at Lehigh Valley Hospital (LVH)–Pocono. “It allows us to accurately assess the pathology of the spine and diagnose what’s generating the pain. MRI and CT scans have become indispensable,” he says. If those non-invasive options don’t work, the problem may be serious enough to warrant surgery. The good news? You don’t have to go far for the most advanced treatment options. Here are just two of the latest surgical solutions for back pain available at LVH–Pocono. Disc/lumbar fusion: During this minimally invasive surgery, which is appropriate for people with spinal instability, damaged discs (degenerative disc disease) or spinal stenosis (a narrowing of the spinal canal from chronic pinching of nerve roots), the surgeon will remove what’s left of a damaged disc and any bone spurs that are pressing on spinal nerves. With bone grafts and internal devices such as screws and metal rods, discs in your back will be merged to heal and form a single bone. Disc replacement: During this surgery – which is recommended for people with a damaged disc but no signs of arthritis in surrounding spinal joints – the surgeon will replace the damaged disc with an artificial one made of metal and plastic. The artificial disc will allow the spine to continue to pivot just as it naturally does. Because this is a very specific situation, disc replacement surgery is less common than lumbar fusion. With LVH–Pocono’s minimally invasive back surgery, incisions are smaller than ever – just 1 or 2 inches – which translates to a faster recovery process and a shorter hospital stay. 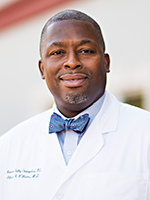 “Incisions for a discectomy (disc removal) can be covered with an adhesive bandage,” Williams says. Like many aspects of medicine, spine surgery is always improving. In addition to MRI/CT scans being used to diagnose back pain and assess surgery results, another advancement that’s making back surgery increasingly positive for more patients is improved computerization in the operating room. Navigation, for example, is a set of computer-assisted technologies that spine surgeons can use during surgery to guide the placement of hardware, such as screws. For complex spine surgery involving hardware like rods, plates and cages, surgeons also use neuro-monitoring to track the flow of electricity throughout the nerve. Neuro-monitoring enables surgeons to more precisely track the location of hardware in relation to a patient’s nervous system to reduce the risk of complications. “Neuro-monitoring has improved spine surgery because it gives surgeons real-time feedback during surgery,” Williams says. These advances in spinal surgery add up to a safer, more precise and personalized approach to managing back pain. “Patients at LVH–Pocono have more choices in terms of how invasive they want surgery to be. It can be an individualized experience,” Williams says. With more precise imaging, surgical techniques and high-tech equipment comes another back surgery bonus: the ability to return to work and to your usual routine sooner. Smaller incisions are less disruptive to muscles, which translates to a quicker and less painful recovery. You may even be able to avoid an overnight hospital stay altogether. Back pain controlling your life? Get an evaluation. 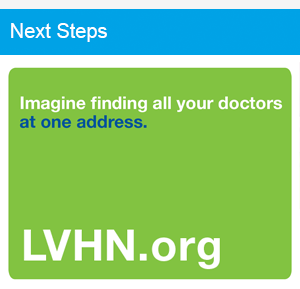 Call 888-402-LVHN (5846).